Violinist Hyeri Choi will perform Mozart’s Violin Concerto No. 3 in G major with the Alfred University Symphony Orchestra on Friday, April 19, at 7:30 pm in Miller Theater. ALFRED, NY – Violinist Hyeri Choi will perform Mozart’s Violin Concerto No. 3 in G major with the Alfred University Symphony Orchestra on Friday, April 19, at 7:30 pm in Miller Theater. 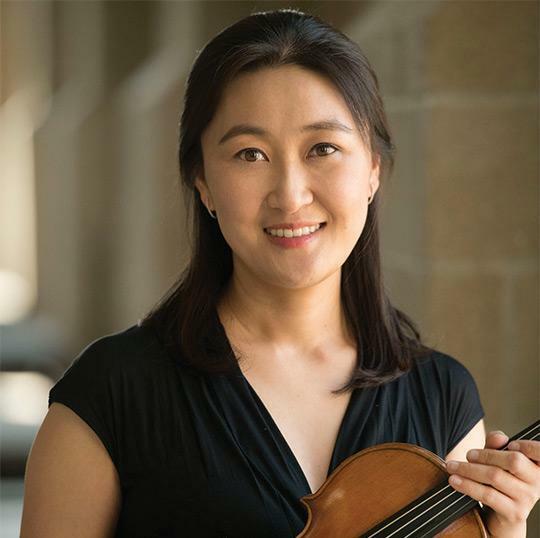 Born in Busan, Korea, Hyeri Choi is an assistant professor of violin at Idaho State University. Choi holds graduate degrees from Eastman School of Music and she received her Bachelor of Music from Ewha Womans University in Korea. As a soloist, she made her New York debut at Weill Recital Hall, Carnegie Hall, as the First Prize Winner of 2014 American Protégé International Strings and Piano Competition. She recently performed Mendelssohn’s Violin Concerto with Idaho State Civic Symphony. Choi has participated in the various international summer festivals, including Kirishima International Music Festival (Japan) and Music Alp Festival (France). Since 2014, she has performed chamber music and served as the assistant concertmaster of the MostArts Festival Orchestra, hosted by Alfred University. The April 19 concert will open with a special "side by side" performance featuring the Alfred Junior Strings, with members of the Alfred University Orchestra under the direction of Lisa Lantz, professor of music and chair of the Division of Performing Arts. The public is invited to this free concert.